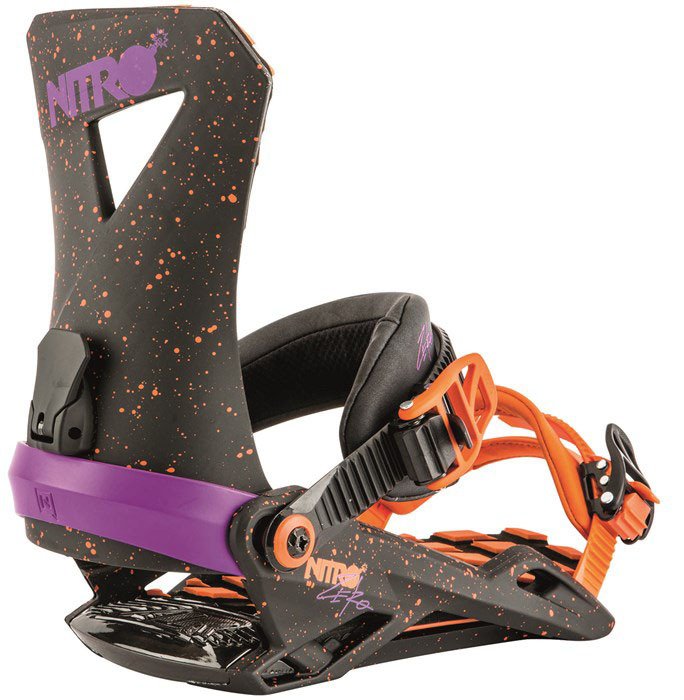 The Nitro Zero binding is a pretty responsive well-built binding that could work for a wide range of riders. The Zero has a lot of new tech that makes for a good all-around binding. 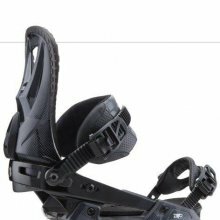 The positives are the, the shock absorption and a wide high back. 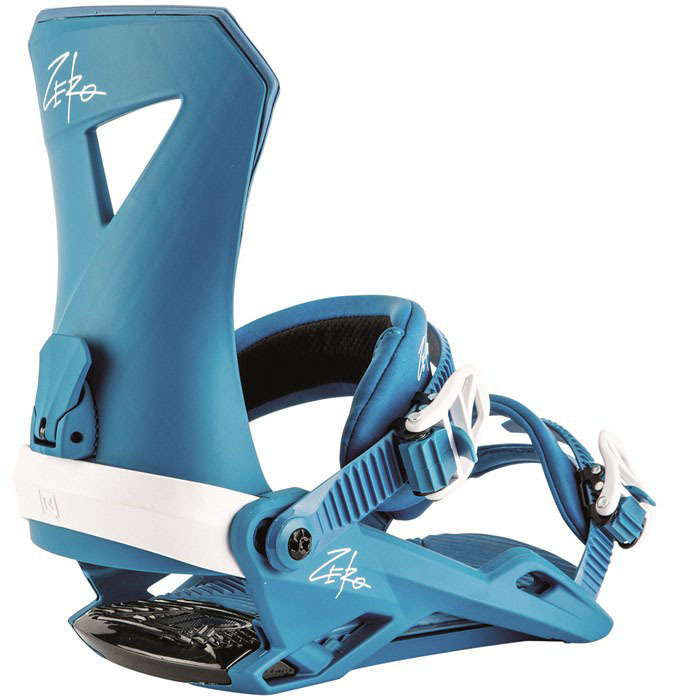 There is also a mini disc similar to what Ride has so it reduces the dead spot and increases flex under foot. 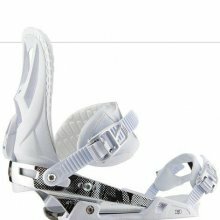 We both liked this binding and find them to be a solid choice. 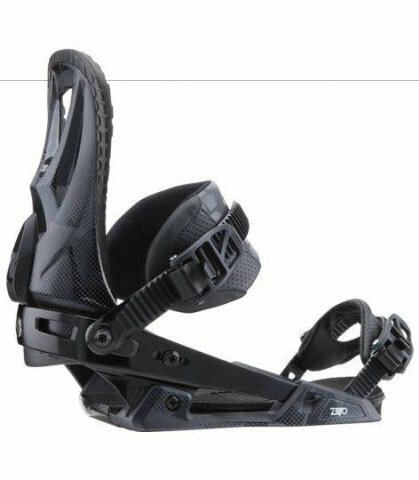 The only possible down side is the air shock pads might crack over time. 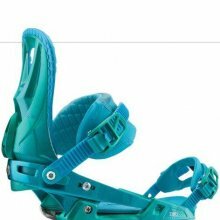 They aren’t an air sack and actually have no seal. 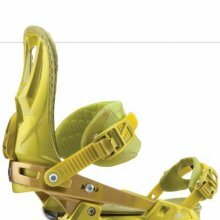 They let air out with pressure so it might be able to deal with a few minor cracks. 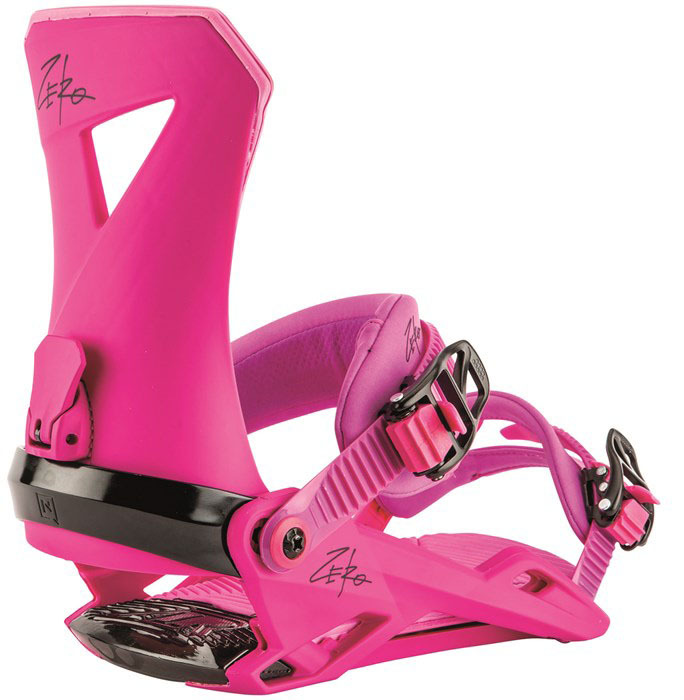 We’d rather see some sort of Gell or EVA but it’s still a good binding. 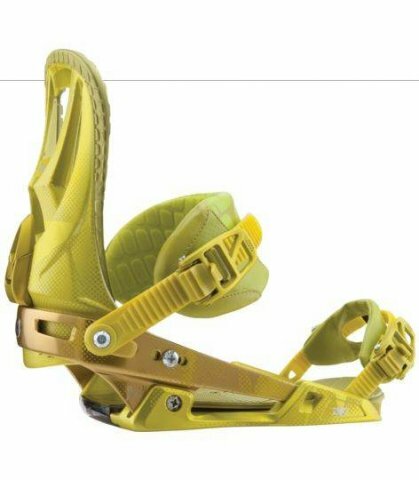 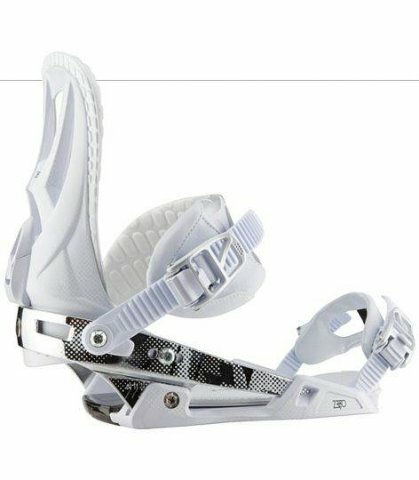 We’d also like to see the bigger asymmetrical ankle strap like the higher end bindings have as well. 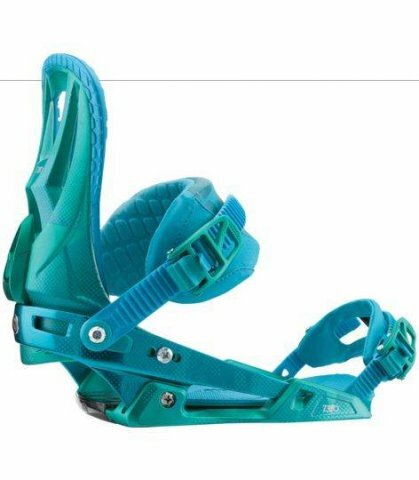 Still this isn’t a bad all mountain binding for the price and with the mini disc it comes closer to competing with Uninon, Burton and Flux. 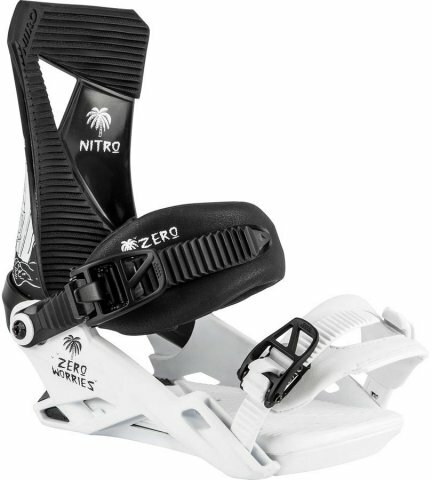 We try to get as many images of the Nitro Zero, but forgive us if they're not all there.